Domaine Méo-Camuzet create some of the finest wines of Burgundy and boast some of the best vineyard holdings in the region. Their wines have become increasingly in demand throughout the world due to their extraordinary purity, sense of terroir and consistency of quality. 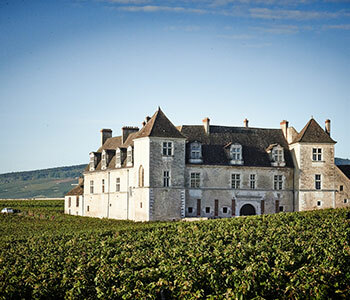 Domaine Méo-Camuzet is based in Vosne-Romanée, in the heart of the most prestigious vineyards in Burgundy. It was founded at the beginning of the last century by Étienne Camuzet, a member of the French Parliament for the Côte d'Or from 1902 to 1932, who selected vineyards whose location and reputation were of particular interest to him; many of his vineyard holdings remain in the estate today, and many of them are among the most exceptional in the region. Etienne’s daughter Maria Noirot inherited his vineyards but she herself had no children so, at her death in 1959, she bequeathed the domain to Jean Méo, a distant relative. The estate did not begin selling wines under its own label until 1985 and after 1988, it progressively took charge of the vineyards as the ‘metayage’ (sharecropping) contracts with the vintners expired; The estate now manages 15 acres itself with another 13.5 under contract (although all is harvested and vinified by the estate). The estate is now run by Jean-Nicolas Méo, son of Jean Méo, who is in charge of technical and administrative matters.